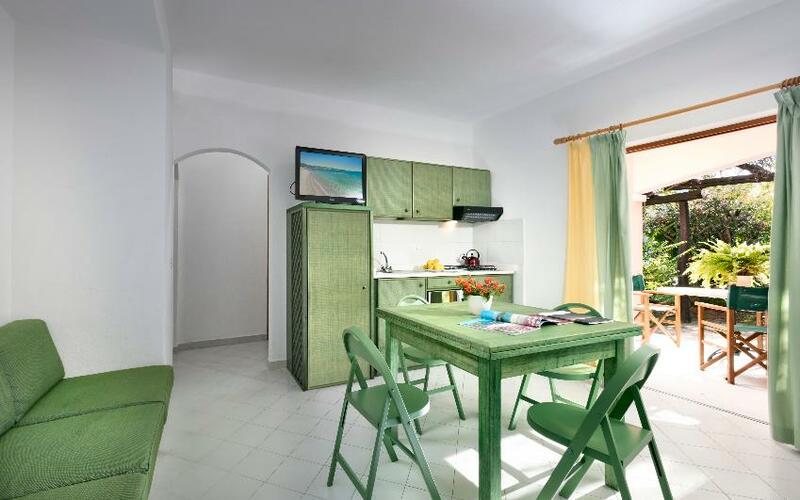 Recently refurbished, all the apartments have been carefully decorated in typical Mediterranean style. 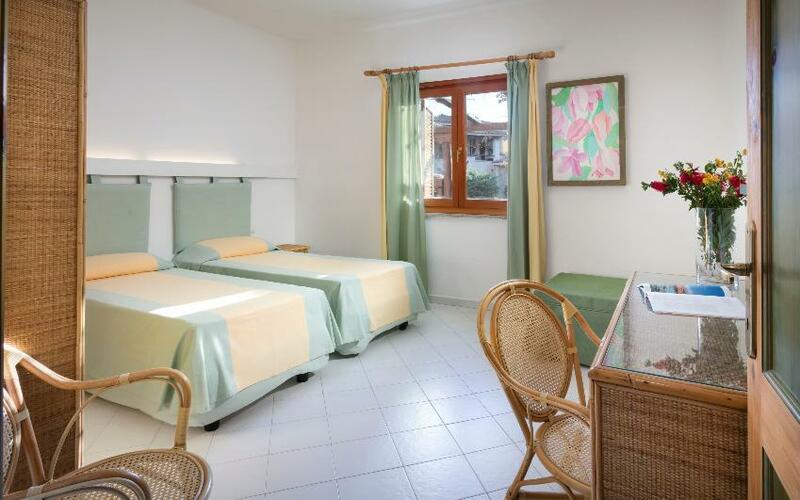 They all have independent entrances and have a bedroom with double bed, living room with two armchair beds, bathroom with shower and cooking area. 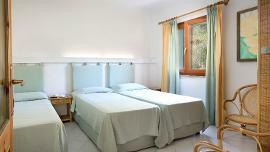 They are suitable for two adults with the option of a third and fourth guest aged up to 13 years. 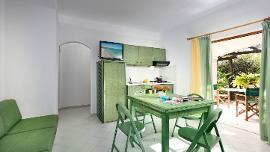 Room Amenities: Cooking Area, Air Conditioning, Safe, TV, Telephone, Refrigerator, Microwave. 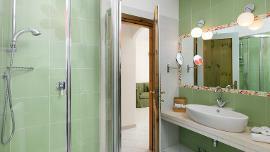 Recently refurbished, all the apartments have been carefully decorated in typical Mediterranean style. 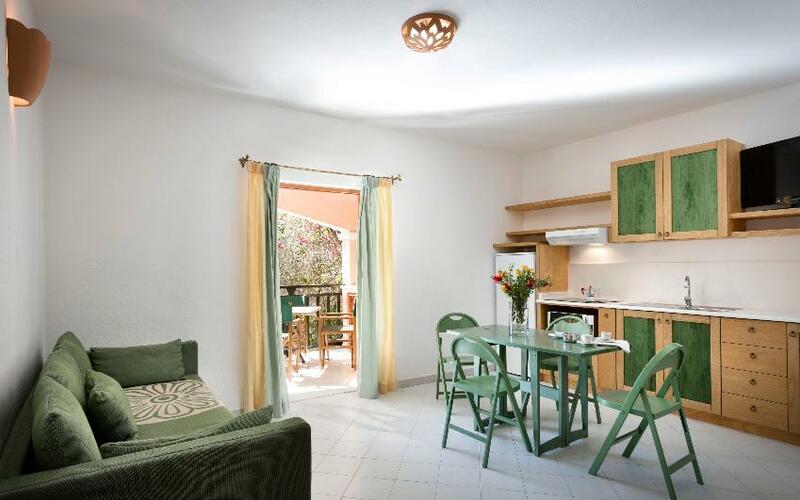 They all have independent entrances and have a bedroom with double bed (may be joined together on request), a second bedroom with two beds, bathroom with shower, living room with single sofa bed and a built in single sofa bed and cooking area. 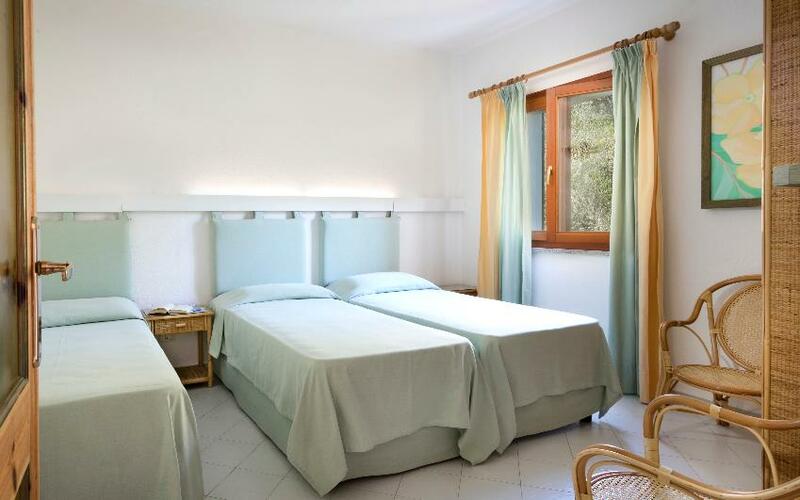 They can accomodate four adults with the option of a fifth and sixth guest aged up to 13 years. 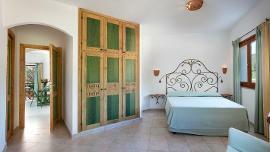 Recently refurbished, the apartment has been carefully decorated in typical Mediterranean style. 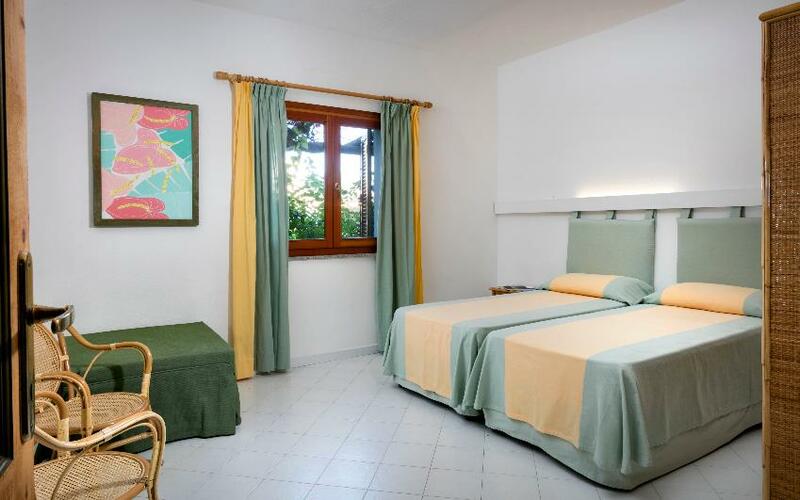 It has independent entrances and has a double bedroom, second and third bedroom with two single beds (may be joined together on request), two bathrooms, living room with cooking area, bed pouf and built in single sofa bed to sleep a seventh and eighth guest aged up to 13 years old. 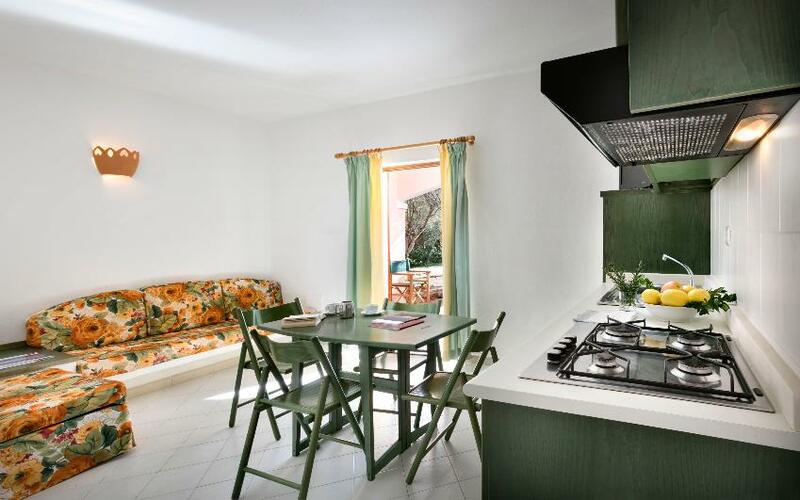 The Cala Di Falco Residence is located just a stone’s throw from the small village of Cannigione located in the Gulf of Arzachena. 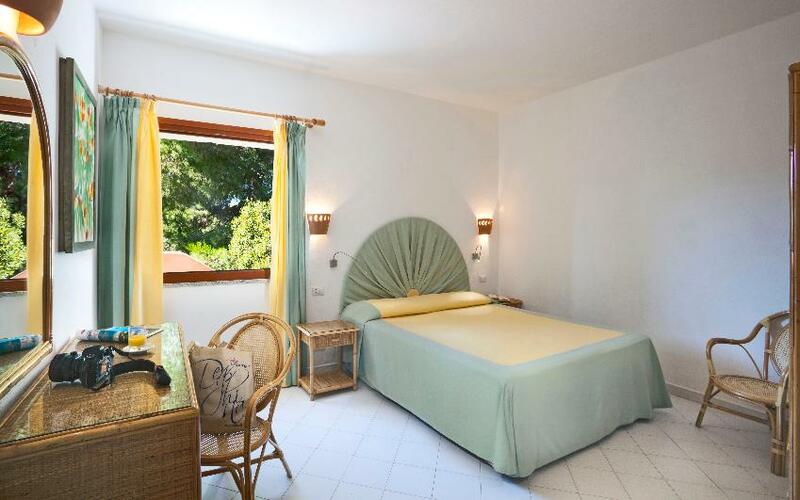 The Residence benefits of a strategic position which is ideal for those who want to visit the best places of North Sardinia and the several beaches of the Emerald Coast. 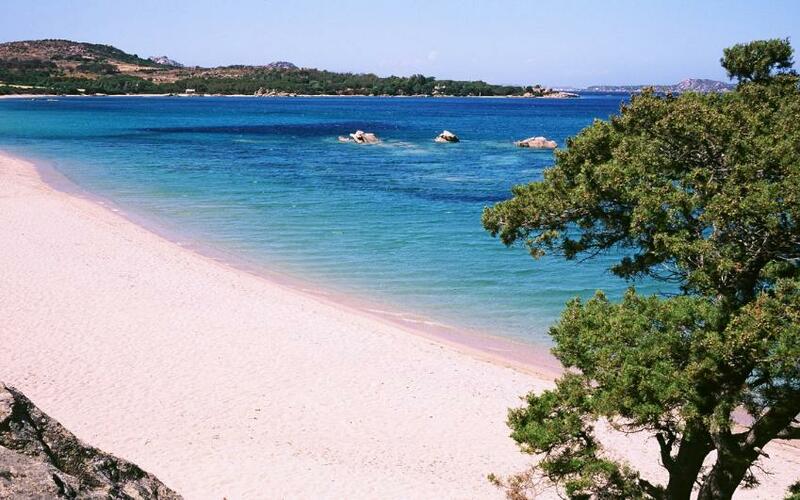 The Archipel of La Maddalena is easily accessible from the touristic port. 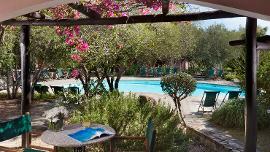 Surrounded by a beautiful mediterran garden, the apartments are all located around the pool in a very quiet area. 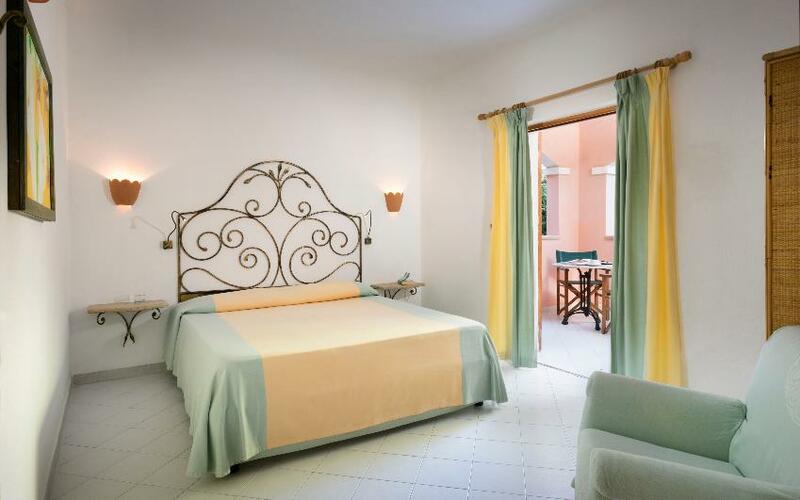 The Residence offers two-room apartments, three and four-room apartments, on the first floor or ground floor, all equipped with air conditioning, independent entrance and a private veranda equipped with chairs and a small table. (Delivery by 17,00 and release by 10,00 on departing day). 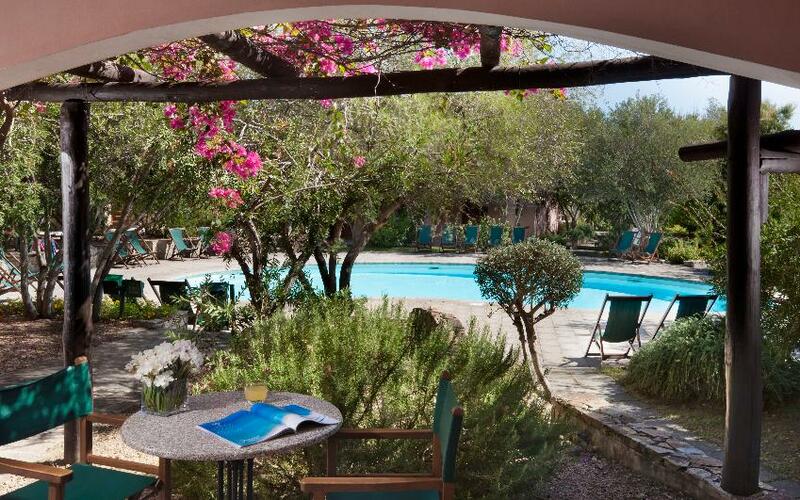 Two restaurants (on reservation and with extra charge) are available for guests of the residence: La Poiana just in front of the pool, which offers a rich buffet with excellent food of the Mediterranean and local tradition. 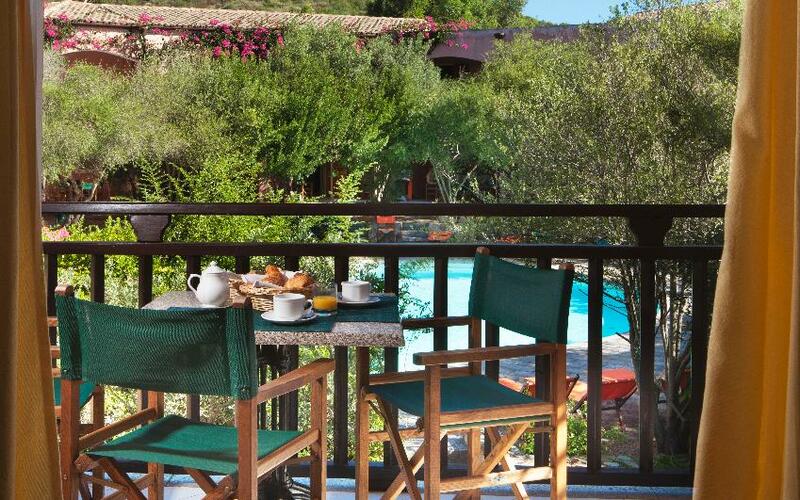 The elegant restaurant La Terrazza, with reservation and on payment, offers table service and a wonderful view over the Gulf of Arzachena. 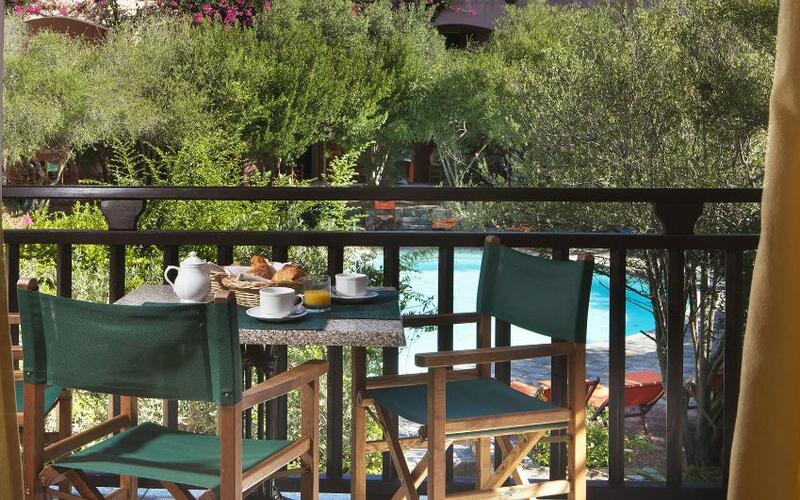 Here you will taste gourmet dishes and grilled specialties prepared from expert Chefs. The staff will be happy to prepare also special menus for your diet (under request). 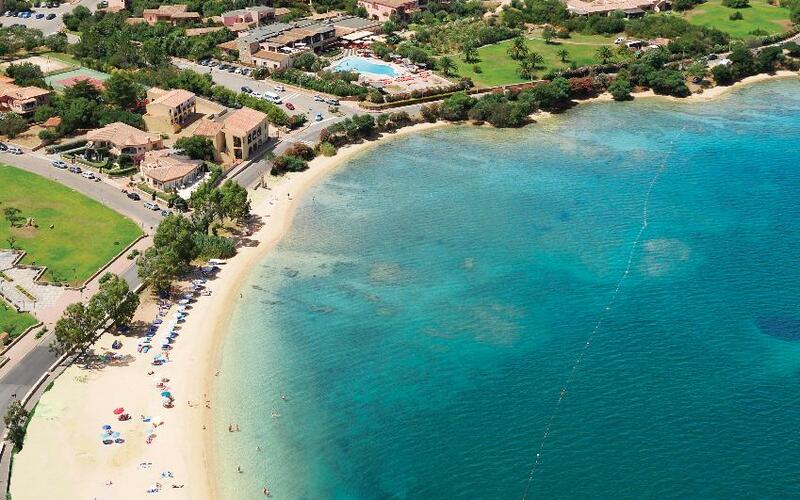 The Resort also organizes motorboat excursions and mini-cruises to discover the islands of the Maddalena Archipelago and the coves of Costa Smeralda, at the cost of € 30 per person for a half day trip (40 € in July and August). 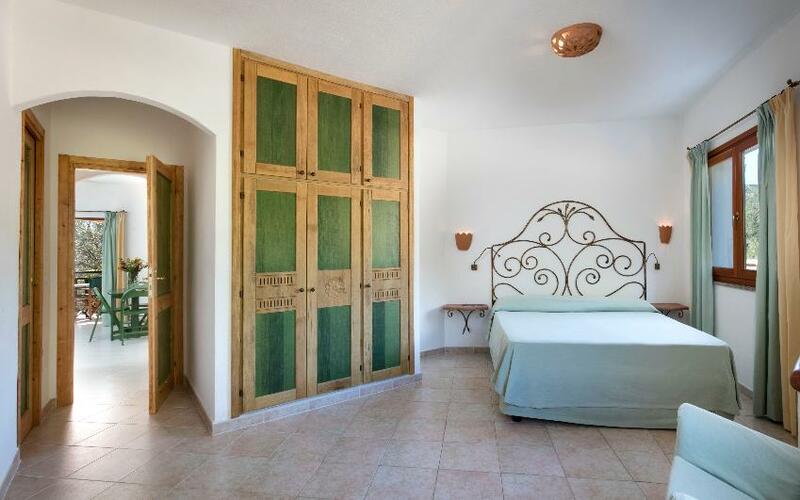 To be booked directly at the hotel, upon availability. Children under 2 are free, children from 2 up to 13 years old pay 50%. 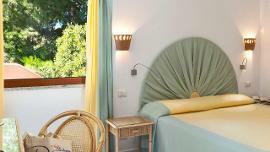 For weekly packages, availabilities and offers will be decided by the Hotel Management . 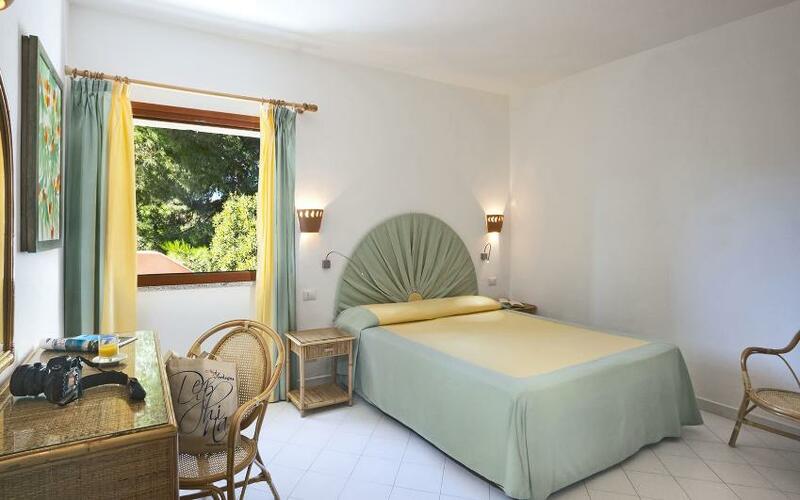 Rates include: rental of the apartment and use of the pool “La Rotonda”, of the tennis court, beach volley court and parking. 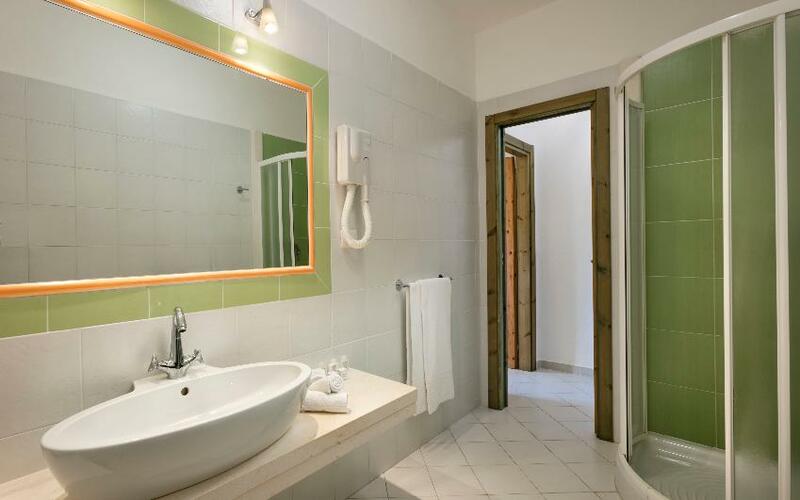 Utility Cost: € 63,00 per week per person for reception/secretariat service, water, gas, electricity, linnen (bed/bathroom: 1 set for bed and 2 sets for bathroom per person per week, set for kitchen will not be provided). Beach towels included. Children under 2 are free. 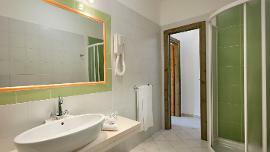 Final Cleaning: € 55,00 per 2-Room-Apartment, € 65,00 per 2-Room-Apartment Special, € 60,00 per 3-Room-Apartment, € 70,00 per 3-Room-Apartment Special and € 90,00 per 4 Room-Apartment. 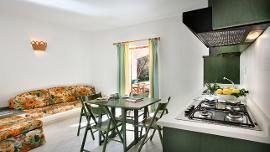 Refrigerator, Dishes, kitchen area has to be cleaned before departure, otherwise the direction will keep € 30,00 from the deposit. 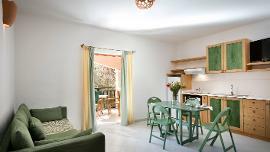 Obligatory deposit to be paid on spot at arrival: € 150,00 per apartment (refundable at departure). 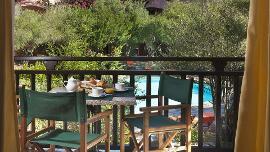 High chair + Stroller to be requested at the residence at the cost of € 20 each per stay. 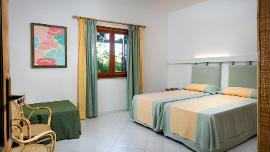 City Tax is € 2,00 per person per night to be paid on-site (from 16.06 to 15.09, excluded children under 12 y.o.). 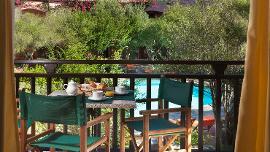 Breakfast charge is € 15 per day per adult; children from 2 up to 13 years old pay 50%; children under 2 are free. Free! Internet free Wi-Fi connection is available in all the common areas. N.B. 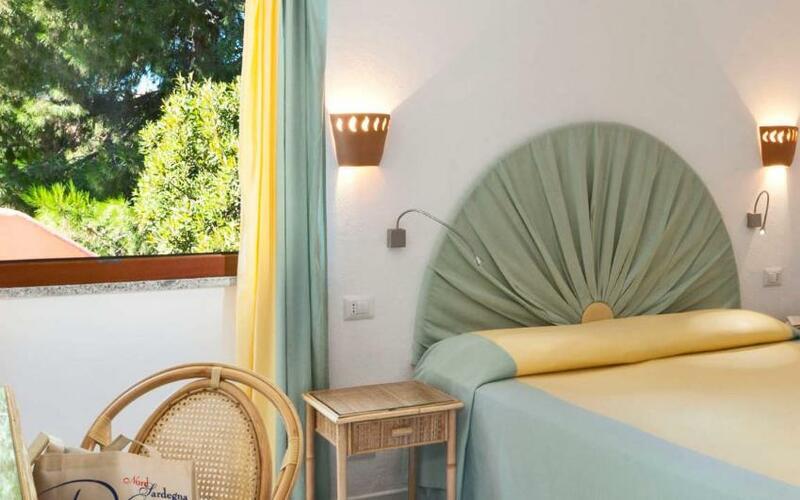 During the course of the season the Hotel can take the right to change the operation of some services which are not depending on the will of Wonderful Sardinia. 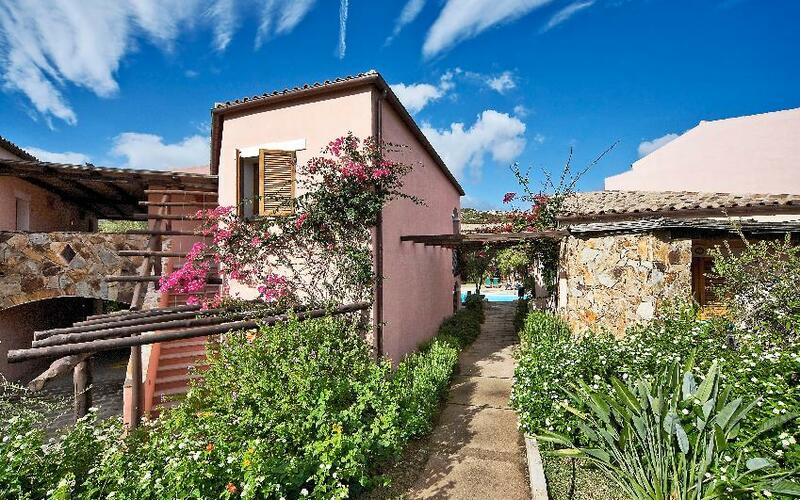 The Residence Cala di Falco benefits of a strategic position which is ideal for those who want to visit the best places of North Sardinia and the several beaches of the Emerald Coast.